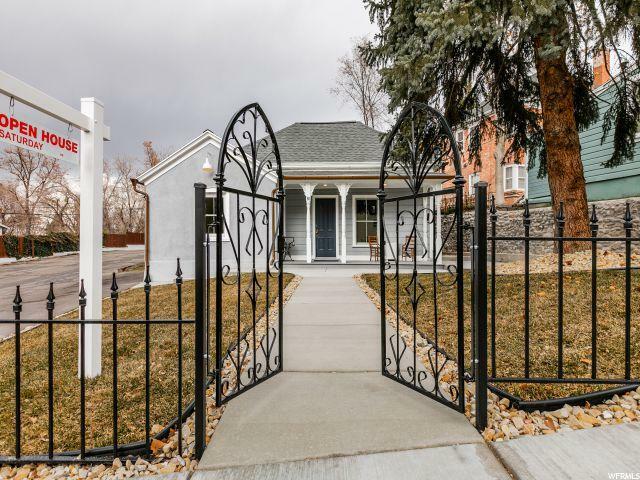 All CAPITOL HILL homes currently listed for sale in Salt Lake City as of 04/18/2019 are shown below. You can change the search criteria at any time by pressing the 'Change Search' button below. "Welcome home to one of the oldest homes in the Capitol Hill District! This Marmalade beauty had a complete 23-month interior/exterior restoration. Driving up to the home, you will see what amazing curb appeal it has with the charming wrought-iron fence/gate and the inviting front porch, with a walkway to the backyard. Copper half-round gutters & downspouts align the edges of the exterior, as well as new windows. As you enter this amazing home, you will notice the high interior ceilings w/exposed City Creek mill-sawn rafters/beams & adobe gables, as well as the salvaged wood re-used to create custom interior wooden walls. The beautiful kitchen boasts quartzite counter tops, a stainless steel farmhouse sink, and double-stacked shaker-style kitchen cabinets. The main level has restored douglas-fir flooring, with an exquisite turn-of-the-century, carved cherry mantle that surrounds a high-end, retro gas fireplace & custom tile work. The master bedroom is perfect w/bath, custom closets, window seat, and door out to the patio. A one-of-a-kind custom-built ship-ladder leads to a bedroom loft w/skylights, built-ins, & full bath w/Victorian ball & claw tub. The basement exterior rock walls were sand-blasted & clear coated. If you think the home is amazing inside and out, the bones of the home are just as pleasing. All new A/C, high-efficiency furnace & duct-work, electrical panel & wiring, water heater, & CAT6/ethernet/co-ax ports. Complete roof tear-off & re-sheet w/30-year architectural shingles. Interior roof-back sprayed w/closed-cell foam insulation for maximum R-value. The lot has been re-graded for optimal rain run-off w/east rock wall completely rebuilt. All work is SLC permitted & code compliant. Certificates of Appropriateness issued for all historically significant phases of the restoration. Documentation available upon request. Square footage figures are provided as a courtesy estimate only and buyer is advised to obtain an independent measurement. 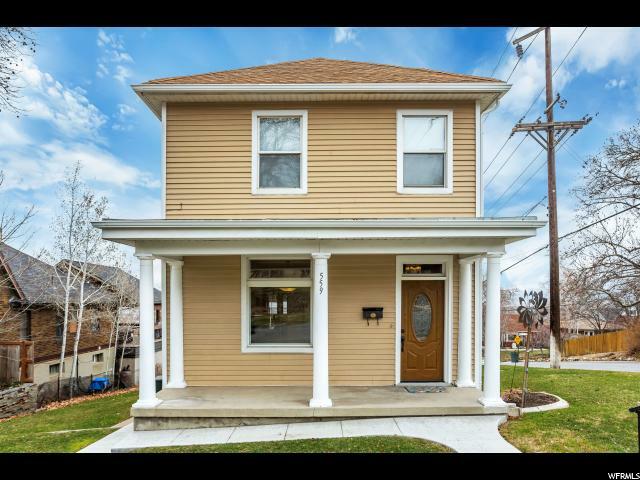 Buyer to v"
"Quaint 2-story located in Capitol Hill neighborhood just north of the State Capitol. Conveniently located just minutes from Downtown Salt Lake City and freeway access. Home has had many updates. Covered deck off the kitchen area with Mountain, valley & lake views. Oversized 20 X 30, 2 car garage. Basement entrance for possible accessory dwelling with R-2 zoning.This home has been in the same family since it was built. Square footage figures are provided as a courtesy estimate only and were obtained from County records. Buyer is advised to obtain an independent measurement."